Spider-Man musical gets highest single-week gross in Broadway history. "Spider-Man: Turn Off the Dark" took in a whopping $2,941,794 last week, making it the weekly all-time top Broadway earning show. Look who's sporting a big smile behind his mask on Broadway — none other than the once-mocked Spider-Man. 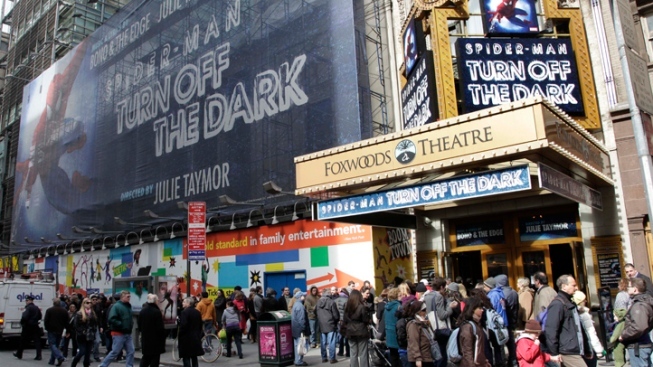 The Broadway League reported Tuesday that "Spider-Man: Turn Off the Dark" took in a whopping $2,941,790 over nine performances last week, which is the highest single-week gross of any show in Broadway history. The musical shattered the old record held by "Wicked," which last January recorded the then-highest one-week take on Broadway with a $2,228,235 haul, though over an eight-show week. "We knew the possibility," said Michael Cohl, one of the lead producers of "Spider-Man" along with Jeremiah "Jere" Harris. "I don't think that Jere or I really thought we'd ever get there but we're ecstatic that we did." While the eight-versus-nine show disparity gives "Spider-Man: Turn Off the Dark" something of an asterisk, the Spider-Man producers pointed out that head-to-head last week with "Wicked" over nine shows each, their musical handily won. "Wicked" took in $2,712,535 last week. Both shows' haul reflect the use of premium seating, in which producers charge higher prices for certain days and certain seats. Also, "Wicked," which is performed at the Gershwin Theatre, has about 100 seats less than the 1,930-seat Foxwoods Theatre, home of the superhero musical. The stunt-heavy Spider-Man show, which at $75 million makes it the costliest ever on Broadway, muscled to the top despite a turbulent history, including injuries to actors, delays in opening night, poor reviews and a record-breaking preview period. Many professional critics predicted its quick death. While pleased by the success, the producers on Tuesday weren't doing a victory dance just yet. "The time to crow is when we have sustained longevity and we've returned the money to our investors," Harris said. Many shows this holiday season added a ninth show to their regular eight-show week, and most had a happy holiday as a result, including "The Book of Mormon" with $1,752,601 over nine shows and "The Lion King" at $2,444,132 over nine performances. "How to Succeed in Business Without Really Trying" with Daniel Radcliffe ending his Broadway run broke the box office record at the Hirschfield Theatre the week ending Sunday, grossing $1,910,224 over nine performances. Hugh Jackman also ended his 10-week concert show run at the Broadhurst Theatre on Sunday after having earned $2,057,354 in its final nine performances, the highest weekly gross recorded by the Shubert Organization, which owns the Broadhurst and 16 other Broadway theaters. And Broadway's "Mary Poppins" grossed $2,444,032 at the Minskoff Theatre during its nine-performance week, which is a house record and the highest weekly gross in the show's 14-year run. The financial success of "Spider-Man" musical came despite a spring shake-up that led to the firing of Julie Taymor — the original co-book writer and director — and an overhaul of the plot and songs by U2's Bono and the Edge. "We came into a very difficult situation. We've changed the team. We added players when we needed to. We've moved some players around to different positions. And the success we've had here is the culmination of all those people working hard to get done what we've gotten done," Harris said. Cohl and Harris, who jumped into the show as producers late on, have said that their data on the audiences for "Spider-Man" indicate that half of all attendees had never been to a Broadway show before and more than half were from outside New York. They say it has been seen by more than 600,000 people during the past year. 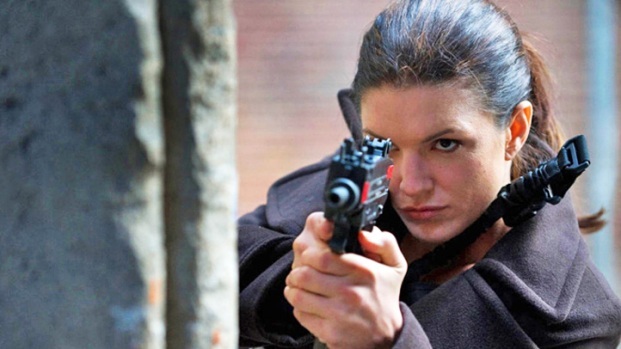 The show has consistently grossed more than the $1.2 million each week the producers have indicated they need to stay viable and that has helped persuade Harris and Cohl to keep the show in New York, forgoing for now schemes to tour or franchise it. The new record hasn't changed those plans and their work hasn't ended. "Cohl and I both got up this morning — we were emailing and texting each other first thing — about next week," Harris said.